FinTech will benefit from three technologies that are expected to expand the usefulness of big data, offer more secure and responsive applications and exponentially grow computational performance. The EU's General Data Protection Regulation (GDPR) is widely expected to limit the amount of data companies can use for data mining, but new research suggests that it will actually be a boon for the FinTech industry. One result of the GDPR is that businesses will have access to honestly sourced data from consumers using a transparent opt-in model, which will be a rich source of information for discovering user patterns in large datasets, according to the report from Juniper Research. Juniper's report zeroes in on three technologies that will be disruptive to the FinTech market this year and over the next five years: data mining, decentralized apps (also known as Dapps) and quantum computing. The EU's GDPR aims to protect citizens' personally identifiable information (PII), providing transparency around its use and giving people the right to restrict its use or request that it be deleted or "forgotten" all together. One technology that has emerged as having the potential to assist organizations in complying with GDPR's stricter rules is blockchain, which has taken the business world by storm. 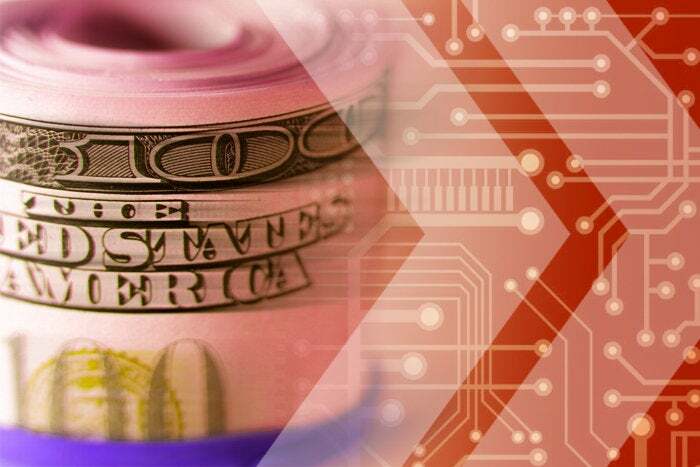 The electronic distributed ledger technology can create an immutable record for recording a history of transactions. Because that data is permanent, using blockchain as a type of database to transact with PII could run afoul of GDPR rules. But when PII data is stored separately from the blockchain network over which it is transacted, the technology becomes part of the solution for GDPR compliance. With GDPR already in effect, FinTechs are well aware that data breaches will have greater consequences than ever, and they need to keep client consent at the forefront of their marketing campaigns and strategy. Data breaches won't just draw major media coverage that could cause customers to leave; under GDPR, sizable fines can be levied, as high as 4% of total revenue, or $23.5 million, whichever is larger. But GDPR isn't just about major breaches. Anytime someone exercises his or her "right to be forgotten," database records will have to be deleted. And if blockchain is part of the system, a business blockchain administrator will need to ensure that any "on-chain" records become meaningless; fortunately, there's a simple method for doing that. Deleting hash keys tied to information is known as cryptographic data deletion. While the data may still exist, spread across offline databases, it cannot be reassembled without the correct cryptographic keys. In a sense, it becomes gibberish — a simple and effective method of deleting data permanently. Much of the attention given to GDPR has been on the onerous compliance requirements. But Juniper believes that compliance will have an upside beyond avoiding fines, because GDPR will result in a wealth of data that has been sourced honestly and in a transparent manner that users will have opted into. "There is the opportunity for data collectors to build a more positive and open approach to consumer data, while being wary of betraying user trust," said Juniper senior analyst Lauren Foye. "Such an approach, combining transparency and honesty, will be well-received, so businesses should seek to prioritize this; those that do not will face considerable suspicion and, potentially, a customer backlash." That's not merely theoretic. Data mining operations have come under increased scrutiny over the past year. For example, the Facebook/Cambridge Analytica scandal caused a significant backlash by consumers and even severely depressed Facebook's share price. "The companies we discuss in the research are not necessarily FinTechs themselves; rather these are businesses who may partner with those in finance, or those whose actions will have significant repercussions for FinTech players in the space, thus disruptive players impacting the market moving forward," Foye said. In addition, businesses such as ShareRoot, which provides a SaaS-based social media marketing platform, and Microsoft, which plans to impose GDPR restrictions across all of its operations, would benefit by selling technology for data mining or GDPR compliance, Juniper said in its report. The second disruption in the coming year will be a significant expansion in the deployment of dentralized apps (Dapps), Juniper said. Using blockchain as their foundation, Dapps create an innovative open-source software ecosystem, both secure and easy, in which to develop new online tools, according to Juniper. "Dapps will pool resources across numerous machines globally, harnessing the power of thousands of idle computers," Foye said. "The results are applications which do not belong to a sole entity, [but] rather are community-driven." Like the blockchain technology they run on, Dapps are distributed across many nodes (sometimes even thousands or millions), making them extremely fault-tolerant while also transparent to users. Dapps will be more secure, Juniper explained, because decentralization will make hacking and fraud less prevalent because data stored on the blockchain cannot be altered and changed at a later date. "We believe that these features will lead numerous financial players and third parties to seek to utilize the technology for practices where security is paramount," Juniper's report stated. Developers have been quick to jump on board with Dapps. Providers such as dApp Builder are hoping to offer a platform that allow others to build and distribute Dapps. The dApp Builder platform, Juniper explained, will allow users to create Ethereum Dapps from pre-built smart contracts, which means no coding will be required and apps will be instantly deployed to a blockchain. Juniper noted that there are numerous Dapps emerging on those platforms, running into the thousands, though many of these appear to be clones or copies of more traditional software and applications. Microblogging site Peepeth, for example, is a Dapp that looks similar to Twitter in its layout and functions. "Yet the decentralized nature and lack of ownership means the [Dapp] cannot be challenged legally. To use the app, users must pay a small amount of Ether cryptocurrency, as is the feature of many of these Dapps," Juniper's report said. "For transactions to be recorded on the blockchain, users are required to 'pay gas' as an incentive for miners to record transactions." Dapps also power smart contract technology — self-executing code for business automation. Supply chain pilots based on Dapps that automatically track cargo in real time or complete real estate and other financial transactions, are already being rolled out across industries. New blockchain-based applications often find their funding via initial coin offerings (ICOs), a crowdfunding technology based on Dapps that uses cryptographic tokens (crypto tokens) in exchange for traditional fiat money or as a reward for using the app. While the requirement to use crypto-based tokens as payment could be seen as a barrier, the desire for a secure, recorded series of processes powered by blockchain will drive adoption, with users willing to spend for the benefit as well as for peace of mind, Juniper said in its report. "There is significant potential. A large number of players, including IBM, Microsoft and Oracle, are exploring these areas," said Windsor Holden, head of forecasting and consultancy at Juniper Research. On the challenge side, interoperability is perceived to be a major issue, although a number of technology providers are now offering blockchain-agnostic solutions to address those problems, Holden said. "Security is more of an issue on public, un-permissioned chains like bitcoin and Ethereum. If players avoid these — particularly if they opt for private [blockchains] — then they have far more control," Holden said. There are a variety of blockchain permutations, and they fall mainly into one of two categories: public or permissioned (private). Public blockchains, such as bitcoin, allow anyone to see or send transactions as long as they're part of the consensus process. Private blockchains, in contrast, restrict the ability to write to a distributed ledger to one organization, such as a group of employees within a corporation, or between a set number of organizations, such as a group of banks that agree to a network partnership. There are also consortium blockchains, where only a pre-selected number of nodes are authorized to use the ledger. For example, a group of banks and their clearinghouse might use blockchain as part of trade-clearing, where each node is associated with a step in the verification process. Juniper believes 2018 will see quantum supremacy, a quantum computer that can carry out tasks that are not possible or practical with a traditional computer. Quantum computing holds the promise of rapidly solving complex algorithms, redefining areas such as FinTech, logistics, and research and development. "While mainstream use is unlikely until 2023 at the earliest, industry players should plan accordingly, to avoid falling behind rivals," the report advised. Quantum computing works by using elemental particles such as electrons or photons (in practice, success has also been achieved with ions), with the idea that either their charge or polarization acts as a representation of 0 and/or 1. Each of these particles is known as a quantum bit, or qubit, and how these behave forms the basis of quantum computing. "As a result, quantum computing has the ability to solve far more complex problems than current binary computers can handle, with qubits able to be in a state of 1, 0, or even both," Juniper explained in its report. "This is known as 'superposition' and means that quantum computers are millions of times more powerful than binary machines and have the potential to affect and disrupt processes across all industries." Industry experts had previously predicted that processors of 50 qubits or more would prove a milestone in terms of computation ability, and even those were seen as several years away. Quantum computing development, however, has exceeded expecations. 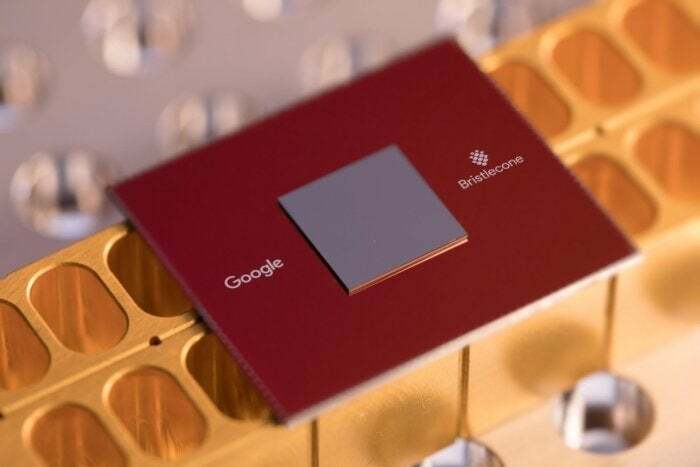 In November, IBM successfully tested a 50-qubit quantum computer; that was followed by Google's March announcement of its Bristlecone chip design, capable of 72 qubits. Once successfully operational, the Bristlecone chip will enable the development of quantum algorithms. "This has happened quicker than was expected," Juniper said. "It is believed that quantum supremacy, 'the demonstration of a quantum computer that can carry out tasks that are not possible or practical with a traditional computer,' will be obtained with a 100-qubit device." This story, "The top 3 disruptive FinTech technologies to watch in 2018" was originally published by Computerworld.